The monthly Welsh language periodical of the Gwynedd Temperance Association. The periodical's main contents were articles on temperance, reports on the activities of temperance societies, domestic and foreign news and poetry. The periodical was edited by Richard Jones (1787-c.1856). 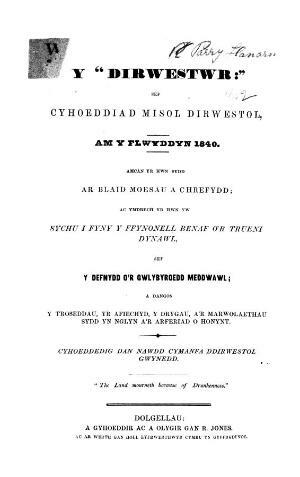 Associated titles: Y Dirwestwr a'r Hanesydd Rechabaidd (1843).